FEATURES 200+ DAGUERREOTYPES, AMBROTYPES, TINTYPES, CDVs & CABINET CARDS! When the French painter and experimenter Louis J. M. Daguerre revealed the secret of making daguerreotypes in 1839, his invention was revolutionary – the world’s first practical method of photography. Daguerre’s process was quickly improved upon by American experimenters, enabling the first photographic portraits to be made. Starting in 1840, Americans flocked to newly-opened daguerreotype galleries to pose for their portraits. While Daguerre never visited the U.S., his invention led to the American photographic industry, and to millions of portraits made with the daguerreotype process and the methods that succeeded it. These images are a rich source of social and cultural information, providing glimpses into the lives and the characters of generations of Americans. This collective national portrait is Daguerre’s American legacy. The new book, Daguerre’s American Legacy, shows every image selected for this landmark exhibition, in full color. 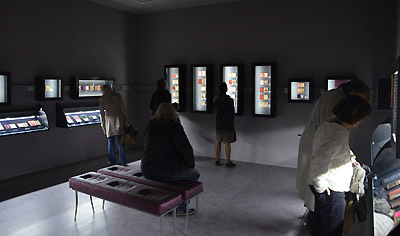 But it is much more than a catalog of the exhibit: the book includes new research and provocative essays by Francois Brunet, noted scholar of American photographic history at the University of Paris – Diderot, and by Wm. B. Becker of the American Museum of Photography. 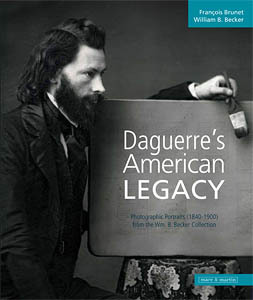 Daguerre’s American Legacy is 328 pages and weighs nearly three pounds. Published in both French and English editions by Mare & Martin of Paris, the English version is in extremely limited supply: only 550 copies were produced for distribution worldwide. 8 x 9.6 inches, softbound. More than 230 color illustrations. $49.95 plus $3 media mail shipping in the US. Copyright © MMXIII The American Photography Museum, Inc. All Rights Reserved. American Museum of Photography and the logo are trademarks of The American Photography Museum, Inc.